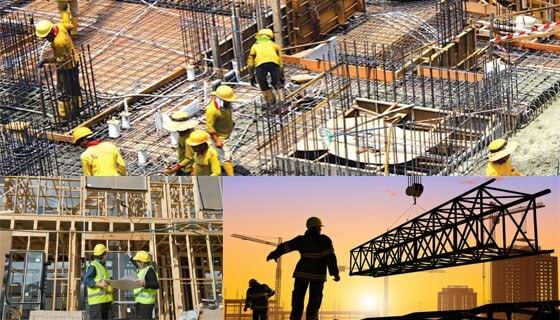 Roles and responsibilities of a civil site engineer depend on the nature of construction works in a project and involve various activities such as quality control and reporting. As the activities carried out in a construction industry is highly dynamic in nature, different decisions and actions have to be carried out unexpectedly. These sudden actions are mostly carried out by the site in charge or the civil site engineer at the construction site. This means the roles and responsibilities of a civil site engineer are not specific for every construction site. These changes based on the activities and site conditions of the project. But in brief, the site engineer must possess certain basic roles and responsibilities for the execution and completion of the project. The site engineer should possess basic knowledge of the practical construction procedures on the site, along with the details of how they are planned. This idea of planning and coordination will help him to have proper execution of the activities on the site with desired performance. A site engineer is very essential for a construction project. The responsibilities of a site engineer are wide as he must provide sufficient advice and supervision when there are any technical issues, or for proper management and for the preparation of day to day reports of the construction works. The site engineer is the person who spends most of his time at the construction site compared with other managers or designers. Site engineers are updated daily about the coming day’s design and activities based on which he implements them at the site. The top members of the construction organization get a clear picture about the daily activities happening at the site through the site engineer. The site engineers are supposed to move from one site to another (based on the size of the project or number of projects) for any special needs. He must also be required to reach with the procurement of resources to get the materials as per the correct specifications if any discrepancies happen. This means every sector of activities say its design, materials or execution, the site engineer has the role of advice. Site activities like establishment of the level and the survey control, which is required for the control of contracts must be performed by site engineer in required conditions. The works have to be set out as per the contract drawings. This requires checks on the regular basis on the construction site. The records maintained have to be accurate and they have to satisfy with the organizational and the legal requirements. The site engineer has to face any unexpected difficulties raised from the technical side at any point in time. He must study the problem and resolve it in the most efficient manner as possible. The site engineer is the one who has to ensure that the site has adequate resources to complete the tasks. This is conducted by having procurement schedules for the jobs carried out and liaise with the procurement department regarding the same. A report on the future works to be carried out at a site is prepared and produced by site engineers two weeks ahead. This is carried out in conjunction with the site agent. The site engineer is responsible for keeping site diaries and the respective sheets for allocation. For highly dangerous work site, the site engineer will take up the role of safety engineer. He has to ensure that the work carried out by the workers and other related activities are as per the safety regulation of the respective state or area. Every construction organization must possess a safe working culture and practice. Its implementation and practice of following are supervised by the site engineers. There may be other safety, health officers for the organization, but ensuring safety is a common need. Other responsibilities are to undergo construction activities that will promote the environmental compliance. Each work has to be carried out safely within the deadline. As we know, quality is a parameter that has to be kept in practice from the initial stage of planning to the end of the project. The major issues with design and documentation can be corrected during the construction by the site engineer based on advice from the structural engineers. Undergo activities and practices that comply with the procedures of the company and the specification. As the site engineer have to know the technical details from the above levels and make it in practice on the site, he must be efficient enough to coordinate the information that is communicated. He must take up the detail from the higher levels accurately and pass them to the below contractors, supervisors or labor workers. It not how efficiently you as a site engineer understand the idea, but it’s how you convey it to your sub-workers. This will reflect to have the need for leadership quality to convey and make the workers do the work.